A challenge led to an award-winning fundraising campaign that helped save children's lives around the world. 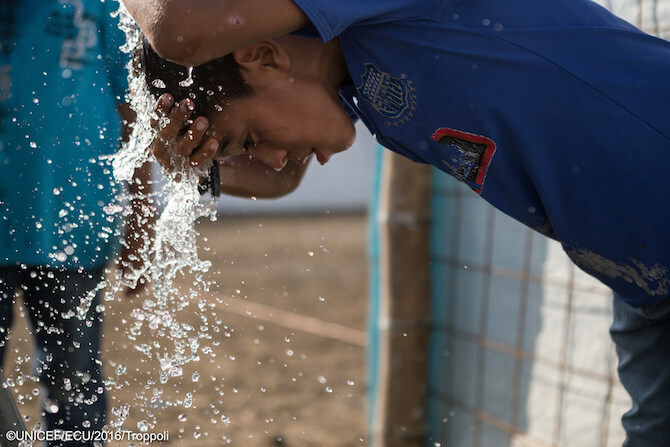 A child cools off at a UNICEF-installed water tap at a child-friendly space in Manabi, Ecuador for children affected by the April 2016 earthquake. Optimism inspired innovation that made a difference. It began with a challenge made by Esquire in 2006 to advertising executive David Droga, deemed by the magazine's editors to be among the world's “best and brightest:" with one magazine page, create a brand capable of making positive change. Droga more than rose to the challenge with his introduction of the UNICEF Tap Project, designed to raise funds to provide safe, clean water to children all over the world. "This was all about the optimism of what we can do and how we can make a difference," Droga has said. 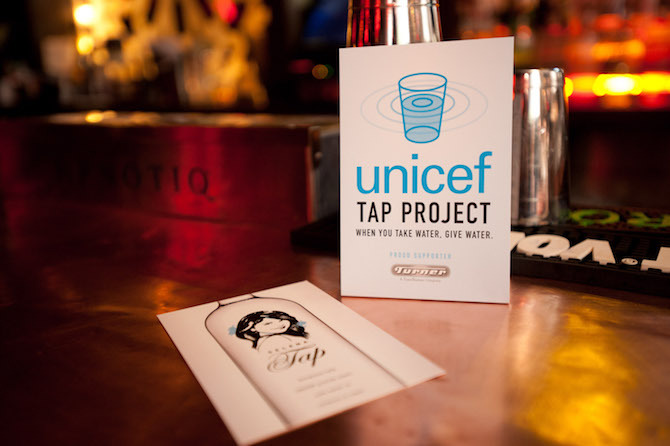 The UNICEF Tap Project launched in 2007 with a one-day pilot in New York City restaurants, where diners donated $1 for the tap water they usually enjoyed for free to support UNICEF water, sanitation and hygiene (WASH) programs. In 2008, the UNICEF Tap Project went national and won the Advertising Club of New York's prestigious award for creativity . By then, thousands of restaurants across the U.S. were taking part. 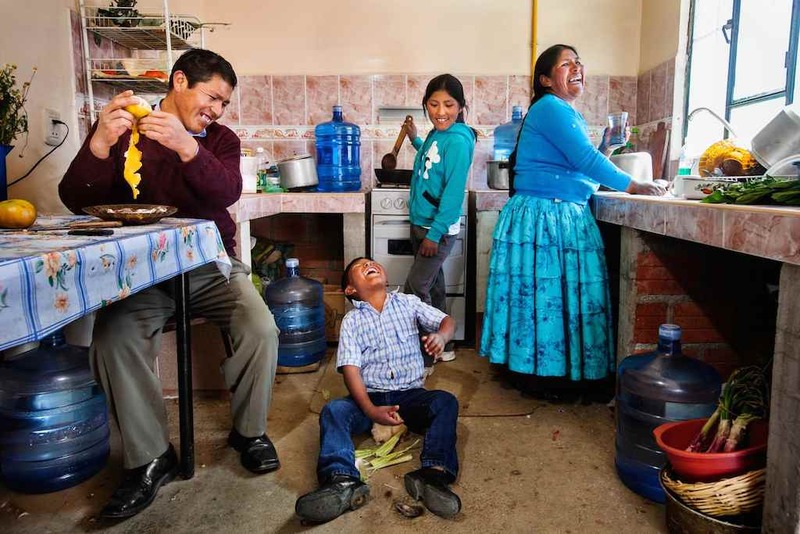 As Craft restaurant's chef-owner Tom Colicchio put it to Food & Wine magazine, "Participation in the UNICEF Tap Project was an easy way for restaurants to help save the lives of children around the world." In 2009, the Tap Project expanded, and by 2011, many notable chefs and restaurateurs had joined the effort. That year, Tap Project participant and UNICEF Ambassador Marcus Samuelsson rallied his industry. "Water is a daily privilege that so many of us take for granted, but children are dying every day due to a lack of clean water," he said. "We can change that. We can literally save the lives of millions of children..."
The Tap Project made a splash in Times Square. The innovation never stopped: Among the program's early initiatives was a purposeful visit to New York City's Times Square, highlighted in an advertisement for the campaign (see below). There, a UNICEF Tap Project crew hawked bottles of dirty water, dispensed from vending machines that collected donations for kids living without clean water. As the ad noted, "Nobody drank dirty water — but many donated." A program aimed at doing good did very, very well. The Tap Project’s momentum grew as news outlets noticed, and celebrities and influencers across technology, sports and many other industries lent support to the cause. YouTube sensation and UNICEF Supporter Bethany Mota was one of many to lend her star power to the UNICEF Tap Project, helping to amplify UNICEF’s message about the world water crisis across YouTube, Twitter, Facebook, and Instagram. YouTube star and UNICEF Supporter Bethany Mota joined the UNICEF Tap Project in 2015. 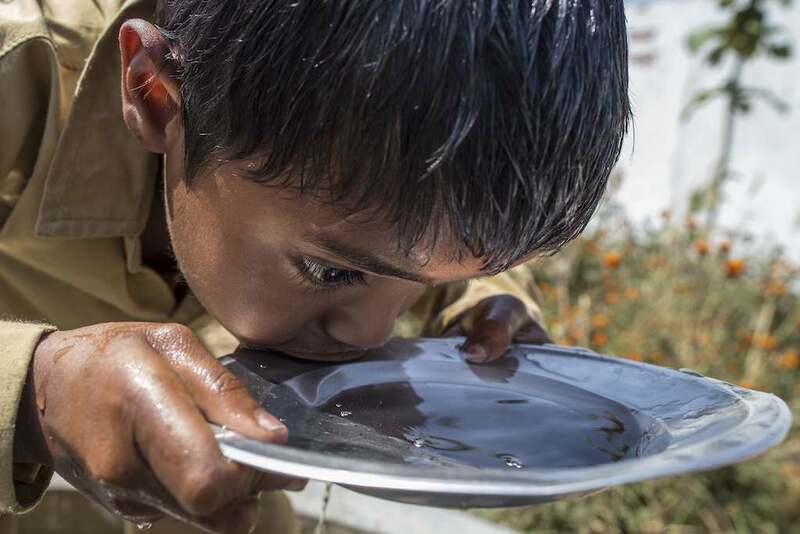 A young boy in Uttar Pradesh, India sips from a bowl of clean water as part of a UNICEF-sponsored, school-based project in 2011 to increase children’s access to healthcare, safe water, good sanitation and proper hygiene. 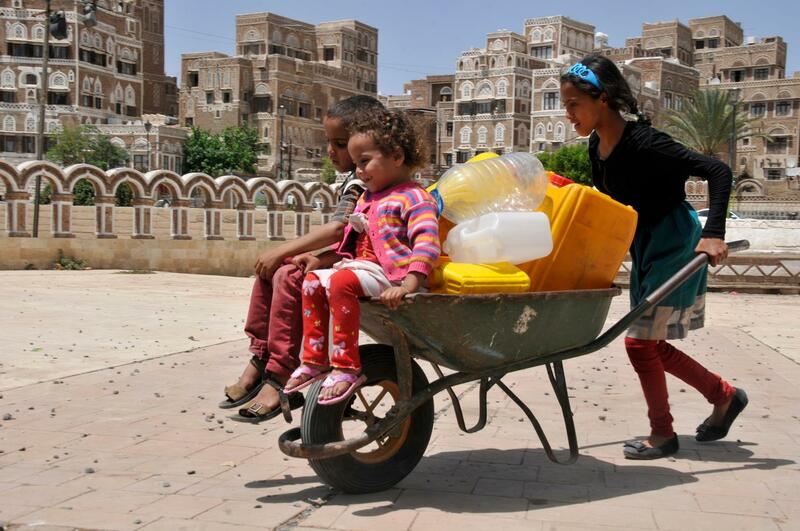 The current conflict has exacted a heavy toll on children in Yemen, destroying water pumps throughout the country. 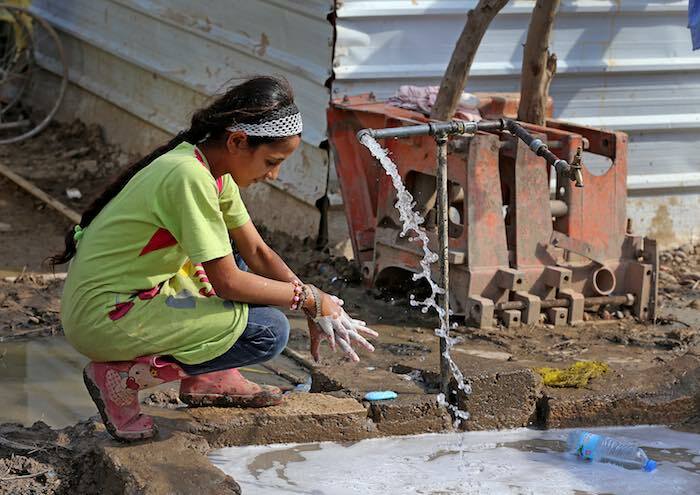 Despite constant shelling, UNICEF has managed to provide clean water to 604,360, including these children in Sanaía. 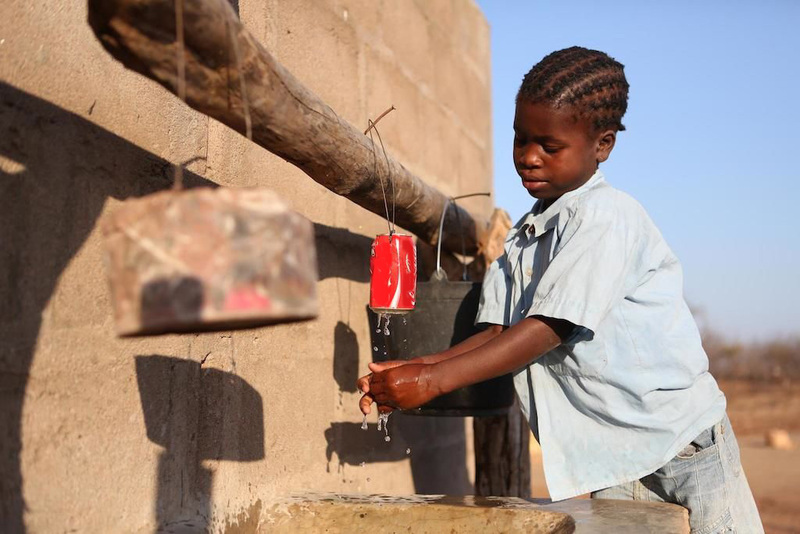 Aranna, 9, used to walk an hour a day to fetch water in Tete Province, Mozambique. A UNICEF-built borehole has given her more time for school. “I always want to learn more,” she says. Fourth graders from Hnen Ser Kyin Middle School in Myanmar wash their hands at a community water point set up by UNICEF and the country’s Department of Rural Development. 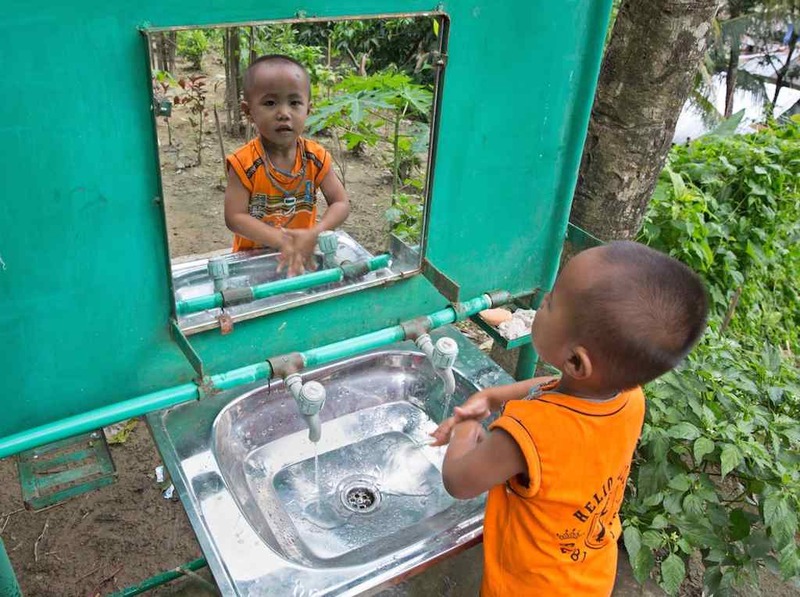 This little boy from Bangladesh is learning to wash his hands with soap and clean water at his UNICEF-supported school in the Chittagong region. It’s a habit that will safeguard his health for the rest of his life. Life is easier and healthier for Mekdes Zewdu and the people of Ethiopia’s Great Rift Valley thanks to an ambitious UNICEF water supply project. For women and girls, especially, water on tap means more quality time. Residents of Rawis, in the Philippines, suffer hardship during typhoon season. 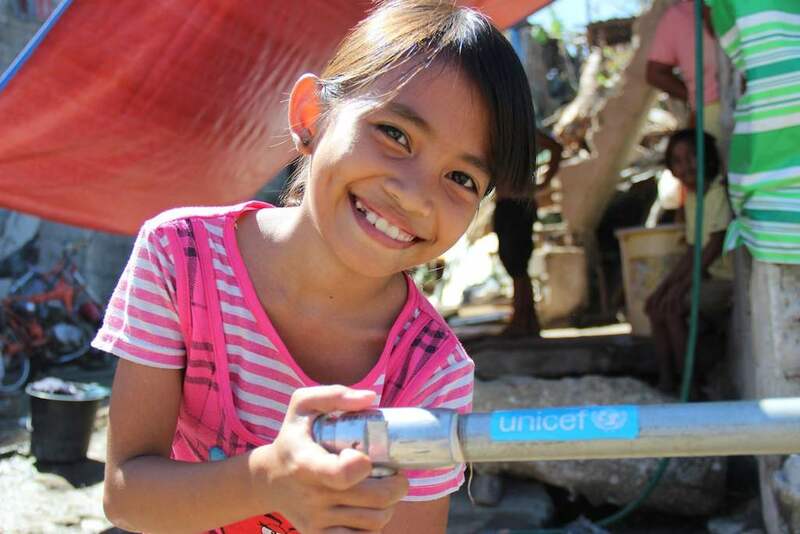 Cherlyn, 9, recalls sheltering at school, where there is a water pump provided by UNICEF. UNICEF supports hygiene and sanitation facilities at this primary school in Vaishali Bihar, India, which addresses the needs of differently abled children. Here all students can stay healthy and focused on learning. 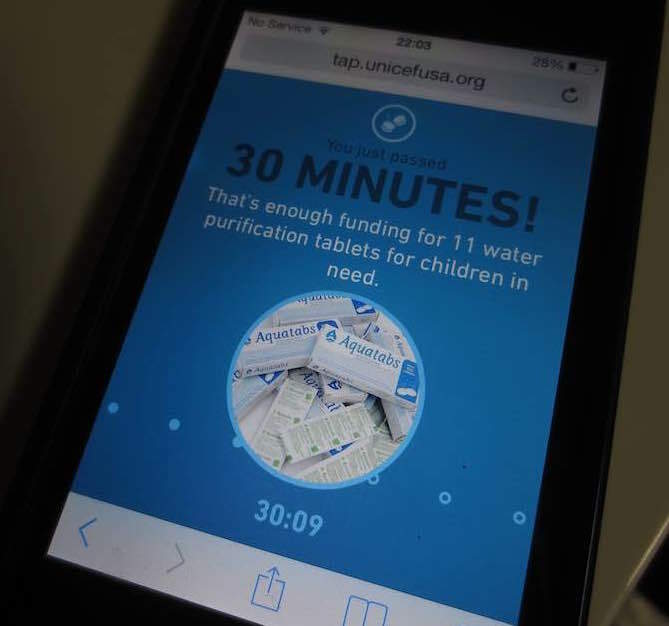 In 2014, the UNICEF Tap Project introduced a wildly popular mobile web app that asked users to put down their phones for kids without clean water. Users spending mere minutes away from their phones were able to unlock the funding — generously donated by sponsors such as Giorgio Armani Fragrances, S’well Bottle and UNICEF Next Generation — to provide a day’s worth of clean, safe water to children in need. A campaign that benefited more than half a million people and mobilized volunteers throughout the world. 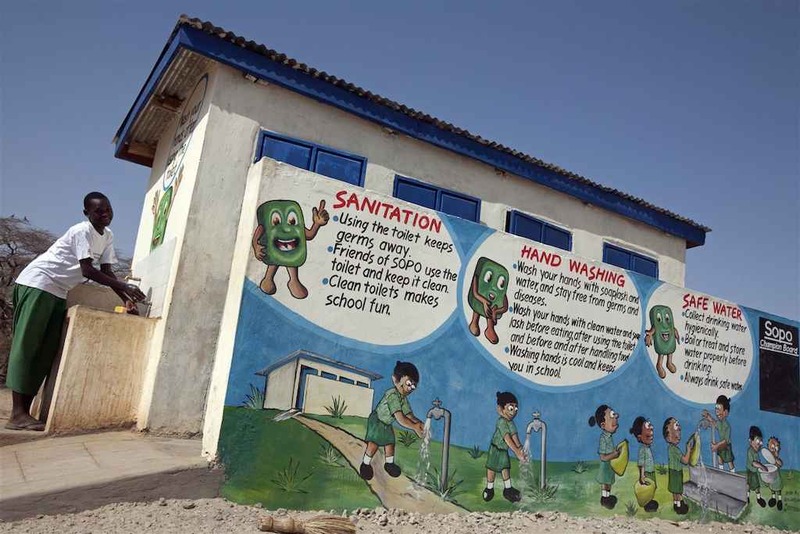 Over a decade, the UNICEF Tap Project directly benefited more than half a million people, raising over $6 million to support WASH programs in 12 countries: Côte d’Ivoire, Nicaragua, Iraq, Central African Republic, Togo, Haiti, Guatemala, Vietnam, Cameroon, Mauritania, Burkina Faso and Tanzania. The funds raised helped provide communities and schools with sustainable access to safe water, restore access to clean water after disasters, promote safe hygiene practices to prevent the spread of disease, and much more. Just as important, the UNICEF Tap Project campaign mobilized hundreds of thousands of volunteers throughout the world — and millions of online users — to help get children the water and adequate sanitation they need to survive and thrive. Over the span of the UNICEF Tap Project, the number of children dying from waterborne illnesses dropped from over 4,000 a day in 2006 to just under 1,000 a day in 2015. 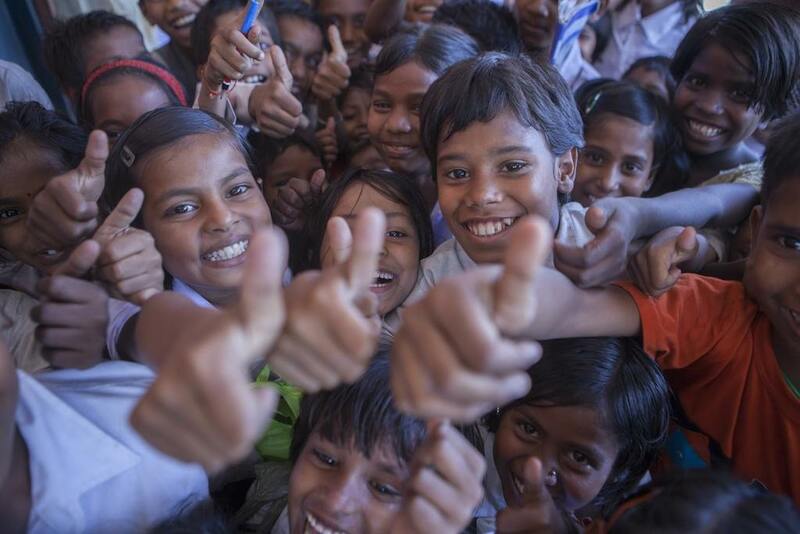 As UNICEF moves on to new campaigns, the work to connect children across the globe to clean, safe water continues. Tap Project supporters can advance these efforts by donating, volunteering and advocating for UNICEF’s campaigns. 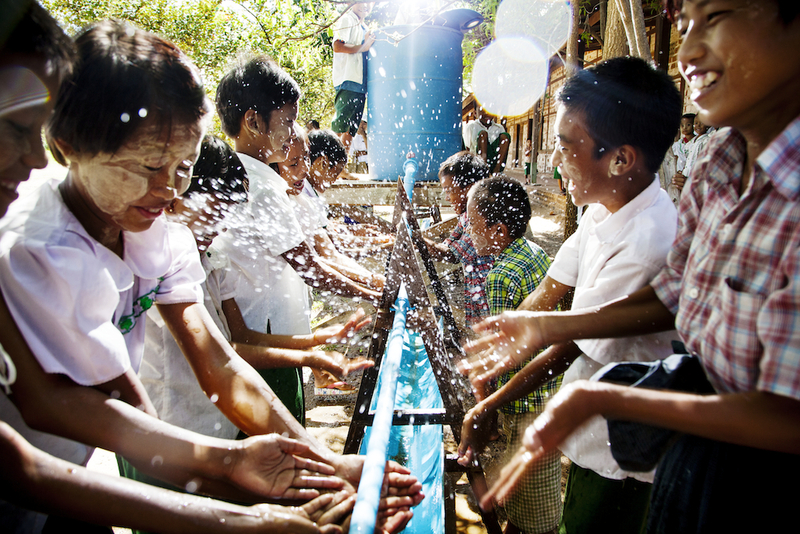 Since 1990, UNICEF and partners have played a key role as 2.1 billion people gained access to clean, safe water. See our interactive Water map, below, to explore UNICEF's WASH programs. 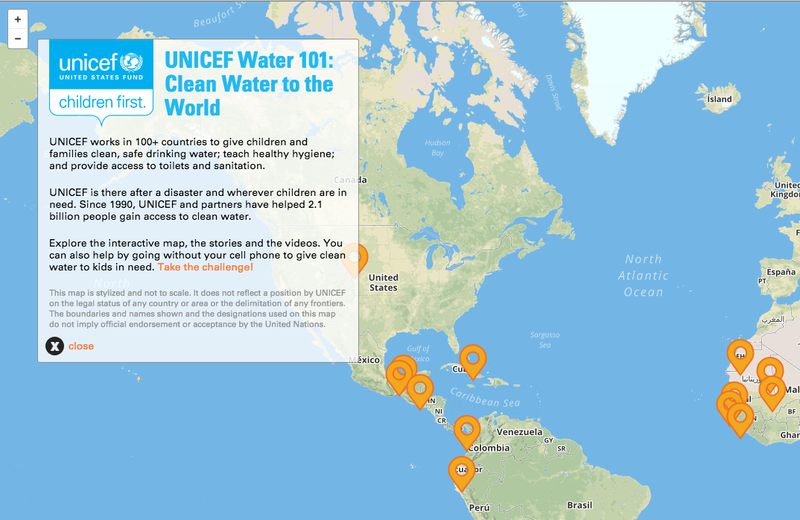 Click on the image above to view an interactive global map about UNICEF’s lifesaving work providing clean water and improved sanitation and hygiene. © UNICEF USA. Stay connected as UNICEF brings water to kids. Follow UNICEF USA on Facebook for more stories about how clean, safe water and adequate sanitation can save and improve kids’ lives. At the UNICEF USA Instagram page, find photos showing the impact of safe water on children around the world. And join the conversation about issues affecting children on Twitter.